Haley & Cody are not your typical couple, they are insanely silly. Every moment spent with them is full of laughter. Together they have three of the most beautiful children, who adore them. The moment Haley I first talked, we instantly clicked. I just KNEW we would be great friends. But, I never thought I'd have the honor of photographing her wedding. As I pulled up to this wedding, I was ecstatic. Her, then fiance, met me & told me it was time to take photos of him & his guys! They then pulled out their shotguns, I just knew these photos were about to get silly & southern! The entire time he was extremely worried that his bride would not get every photo she wanted, so we made sure to cover any photo she could possibly want. To me this was absolutely adorable, all he cared about was what she wanted. Once the girls arrived & Haley began to get in her dress, I was amazed at just how beautiful she looked. Her hair & make up were PERFECT. She was such a gorgeous glowing bride! The amount of love & laughter that filled this room full of girls was just incredible. They even got to find out that they were having a baby boy when they cut their cake! 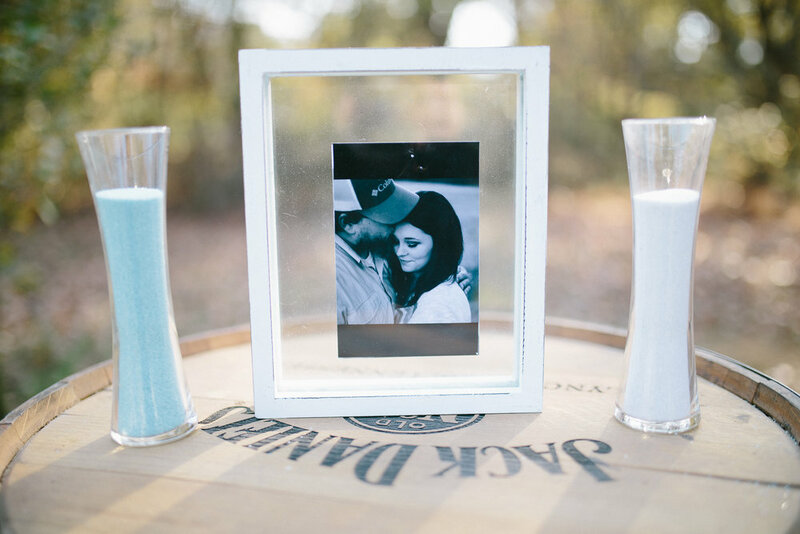 This adorable southern wedding truly just made my heart smile. Even more so because I got to watch & document one of my dear friends big day! I CANNOT WAIT TO SEE WHAT THE FUTURE BRINGS YOUR FAMILY!